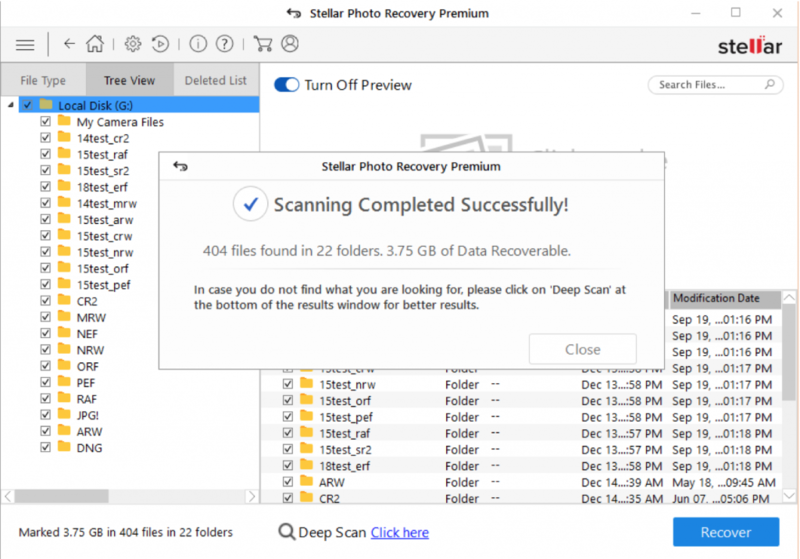 Hi guys, let me begin with why I decided to review Stellar Photo Recovery Premium software? First, it is the world’s first DIY software that can recover lost multimedia files as well repair corrupt photos and videos! Second, after knowing its utilities, I felt the software should be once looked at. It can be a worth keep for our photographers and videographers fraternity. I used a formatted 32GB camera card to test the recovery function, and a couple of corrupt image files and a video from my archive to assess the repair capability. 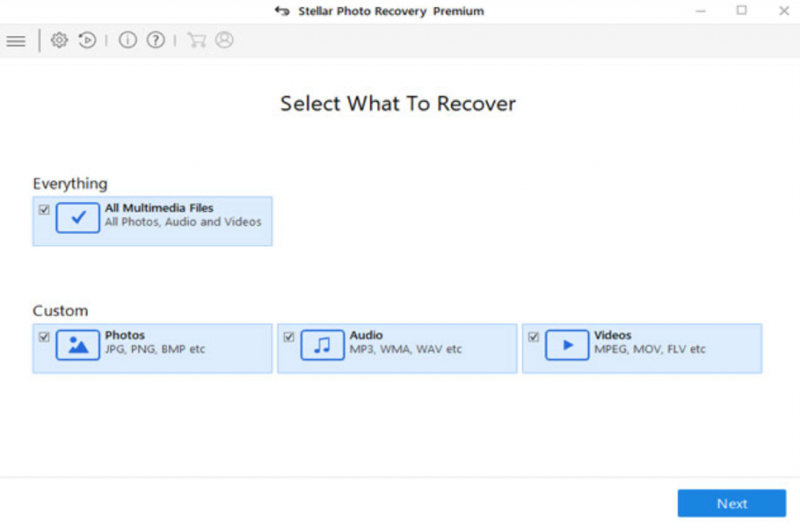 Stellar Photo Recovery Premium is a do-it-yourself software to recover lost or deleted photos, videos, and audio files. In addition, the software also repairs corrupt or distorted digital images and videos. Thus, it has three functions integrated into one application. I downloaded the demo version of the software, which performs all the functions, however, doesn’t let you save any of the recovered and repaired media files. The software is analysed on the basis of user experience, functions, speed, and performance. You can click on the required button and follow the simple onscreen instructions – easy to navigate with no fuss. Going deeper into each button, I found the GUI very straightforward and clean. Even a non-techy can use the software with ease. This was a 4-step process – Select What to Recover (photos, videos or audio files), Select Location (drive or storage media) to Scan, Recover, and Save. I selected ‘All Multimedia Files’ to recover from my formatted SD card. After about 10 minutes of scan, the software recovered 404 photo and video files. The preview of the files was also available. I liked that during ‘Scan,’ it gave the option to ‘Stop’ the scanning process. When clicked on the ‘Stop’ button, it asked to save scan information up to that point and resume recovery anytime later. The flexibility is helpful, when suddenly you have to rush for another errand. Navigating deeper, I found customized options to save recovery time and recover only the desired data such as choosing specific file types. The scan results showed 404 files. Further, I clicked on the ‘Deep Scan’ option. It took about an hour to scan the memory card. To my surprise, the software recovered 880 media files after the deep scan. Probably, it did a thorough search this time! This was super beneficial. I could see hundreds of files with their original name and time when they were stored. This makes sorting of photos and videos easier. The repair process involved 3 steps — Add File, Repair and Save. Preview after repairing is available. I added the raw image file of .CR2 format shot with Canon camera and a .JPEG picture. Within couple of minutes, the repair process was completed. However, only one of the photos (.CR2) was repaired and it was extracted in JPEG format. The software also gave thumbnail of the raw image. I felt it was unnecessary data piling. The feature could have been better as an option to the user. While against the other .JPEG image file, the ‘Advance Repair’ option was written. Clicked on it, a dialog box asked to share a sample file as the image is severely damaged. The sample file was a working file created using the same device as the corrupt image. Since I didn’t had the sample file, disappointed, I gave it a miss. However, it is appreciable that the software could fix raw image from camera. Until now, I couldn’t find any other application, which has repair capability for raw files. Similar to Photo Repair, video repair was again a 3-step process — Add File, Repair, and Save. You can also Preview the repaired videos before saving. I added a 1GB corrupt WMV video. It was flickering after 5 seconds of play. Within 1 minute, the repair was complete and the video played fine in the preview. Although I couldn’t check the video repair function on multiple video files. The software site claims to repair unlimited numbers of videos in one go. Similar to its Photo Repair utility, the ‘Advance Repair’ option for severely corrupt files is also present in the video repair function. I loved the interface – simple and clean. Moreover, it is very easy to use. Deep scanning was efficient. It restored almost all the files in the formatted card. Ability to repair corrupt raw images of cameras is definitely a plus. Further, wide camera and storage devices support, recovery with original date timestamp, and other customize options make it user-friendly. What I disliked, was though raw photos were repaired but they were obtained in JPEG format. Deep Scan in recovery process takes time. Also, the free demo version, though shows the preview of files but does not let you save any of them. Overall, I consider Stellar Photo Recovery Premium is able to address the needs of professionals who deal with thousands videos and photos on day-to-day basis. It is multifunctional and fast compared to other standalone photo recovery software. Another aspect that my French, German, Italian, and Spanish friends may like is that the software built is available in their native language too. 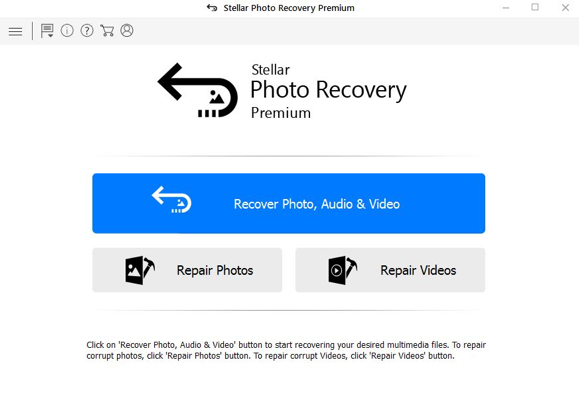 The Stellar Photo Recovery Premium software is priced at $69.99. It offers unlimited data recovery and repair in various loss case scenarios such as deletion, formatting, virus infection etc. You also get free updates and 24/5 technical support via mail, chat, and call.